When learning a new language, it is a relief to discover that the word in your target language greatly resembles the word in your native language. Phew! That’s easy to remember. 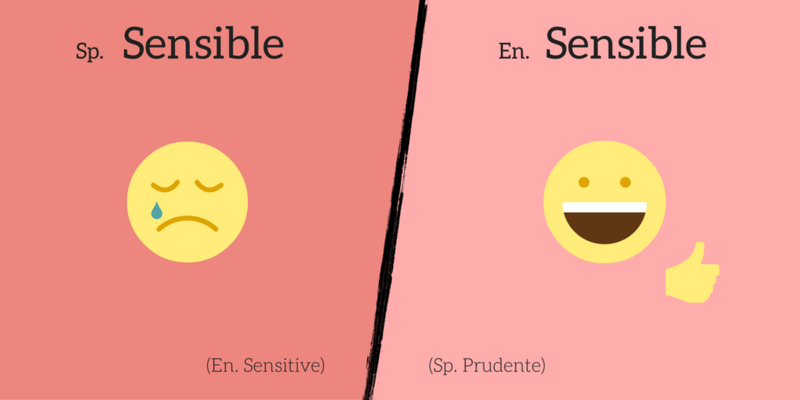 Unfortunately, languages play tricks on you; sometimes the words appear similar but actually have slightly, or something VERY, different meanings. A classic. It can be an awkward situation if someone just wishes to convey that they feel bashful, while the listener thinks that they are making an unexpected announcement. 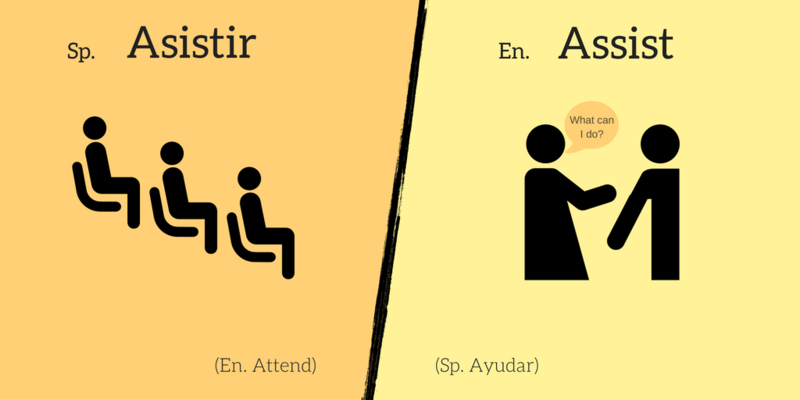 When first asked to ‘assist’ a meeting, a Brit may think that you need help at the meeting while the Spaniard will just expect to turn up. Or at least, they are NOT ALWAYS the same. 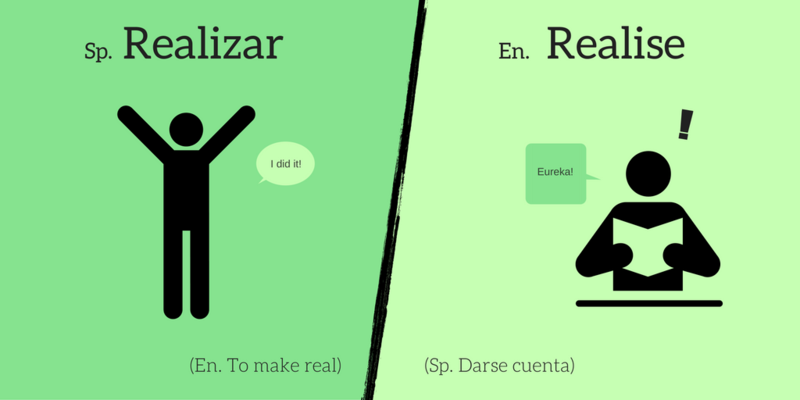 The Spanish usage of the word refers to ‘making something real’, which in English can be used only in the context of ‘realising your dreams’. In any other context, this meaning is archaic. 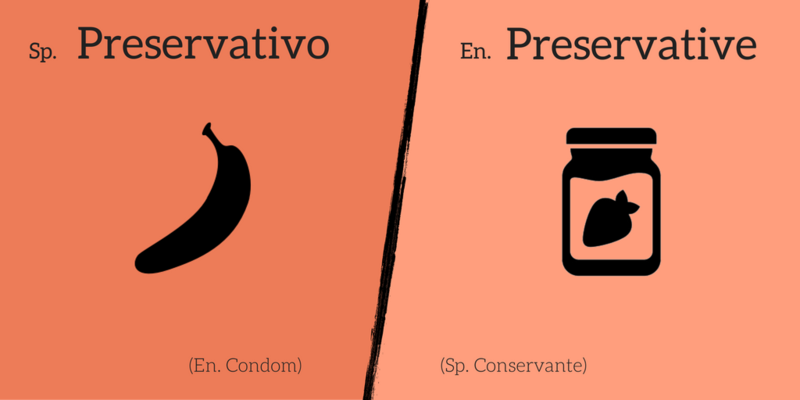 This is one of the most hilarious mix-ups that occurs when Spanish and English meet. English speaker: How are you today? 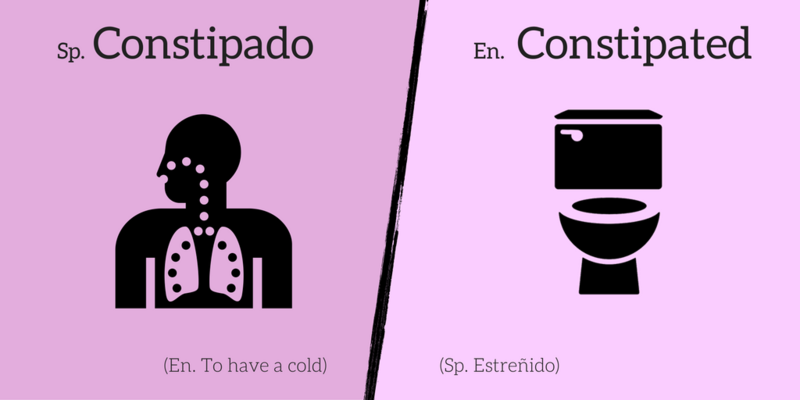 Spanish speaker: Ah actually I’m feeling pretty constipated. English speaker: … erm. TMI. It seems so obvious that these words should have the same meaning that you wouldn’t think to ask what it meant. 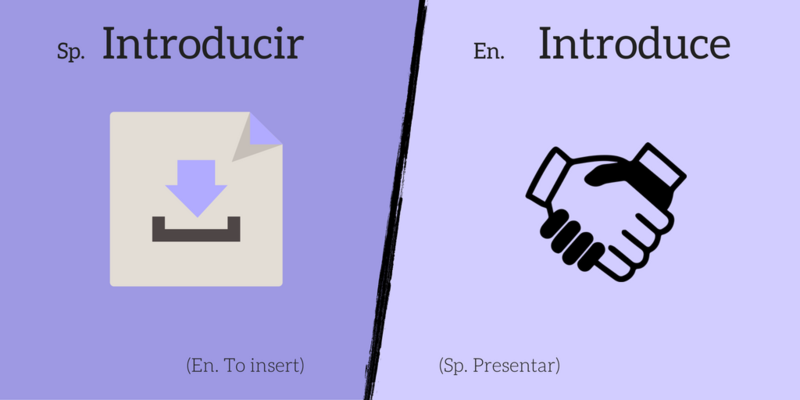 However, don’t try and ‘insert’ (instead of ‘introduce’) your friends. Awkward. 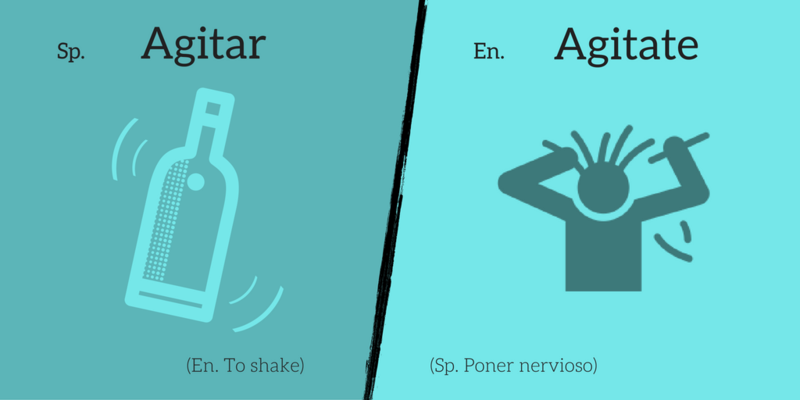 If a Spanish speaker wants to convey the word ‘agitate’, they are likely to say ‘poner nervioso’ instead. Otherwise they’re just talking about shaking something around. Health warning: do not put lentils in your eyes. Second health warning: do not mix these up. Please. 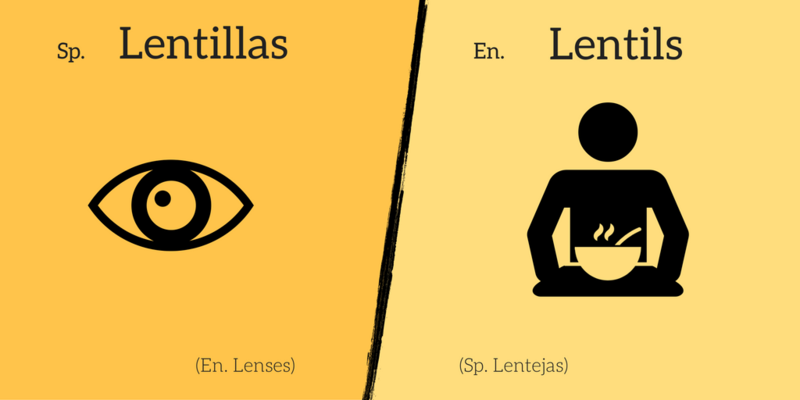 Though these words often have the same meaning, many bilingual speakers of Spanish and English are not aware of the subtle difference between these two terms. Nervous in English is anticipation + fear. That is the only definition. This is also true of the Spanish ‘nervioso’, except that the word is usually used to describe someone who is unable to stay still, whether for excitement or stress; i.e. their nerves are easily excited. ‘Excitable’ would in some cases be a better translation, though English really doesn’t have a good word for it. The truth is, the vast majority of vocabulary with common spelling in English and Spanish do, thankfully, have the same meaning. ? But it’s important to watch out for how language tries to trip you up! 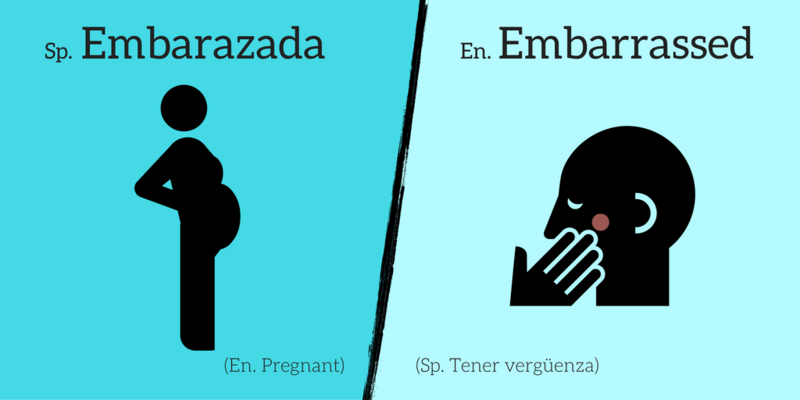 What other false friends do you find difficult to remember? Tell us in the comments!